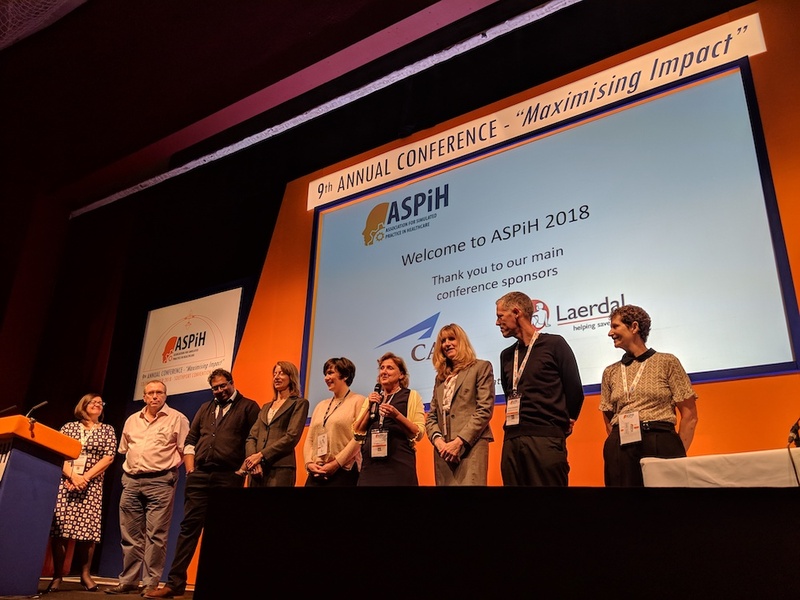 The ASPiH 2018 event continued today with an opening speech by President Dr. Makani Purva who shared about the opportunities of the healthcare simulation conference to connect with colleagues from across the United Kingdom and beyond. Dr. Purva introduced this morning’s keynote speaker, Dr. Kimberly Stone, Associate Professor of Pediatrics of Seattle Children’s Hospital and University who spoke on “Maximizing Impact: Improving Systems and Safety Through Simulation”. Dr. Stone opened her talk sharing a story from her hospital of a toddler who needed epinephrine, that took over 16 minutes to administer due to EHR and communication issues — slower than an Emergency Medical Services ambulance would have accomplished. Dr. Stone explained that this near miss represented a failure not of individuals, but of systems. 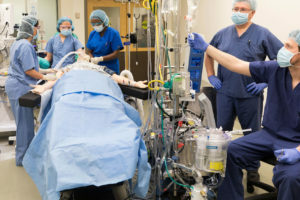 The hospital identified this as an opportunity to improve emergency patient transfers, which utilized simulation to road test theoretical plans addressing the issue. The simulated improvement process reduced the time of emergency transfer from over an hour to less than 30 minutes. Dr. Stone shared further examples of how her group helped the Hospital open a new building by utilizing simulation to identify potential errors before patients entered the space. 250 issues were found during the simulated exercise, providing a really powerful opportunity for simulation to demonstrate serious value to administrators. 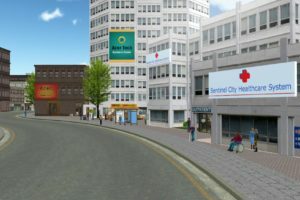 Among other presentations during the first breakout session, Professor Bryn Baxendale and team covered progress and plans for evaluating the Australian National Health Education & Training Simulation Programme (NHET – Sim), Dr. David Wright covered in situ simulation and several groups covered a review of innovative VR technologies.  Over 30 sessions are taking place this week at the ASPiH conference all dedicated specifically to simulation in healthcare. 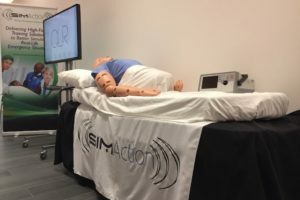 New Technologies we saw at the event included our first look at the new SimBaby from Laerdal, a very realistic grandmother manikin Vivienne from Lifecast Body Simulation, and the affordable bozzini Hysteroscopy simulator from Inovus. 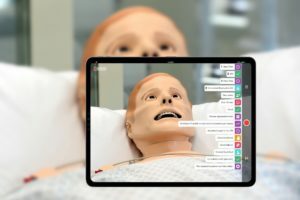 SimBaby From Laerdal: A major redevelopment of this 9 month old simulator, we are very impressed with the moving limbs, realistic skin, weight, and look of the new SimBaby. The SimBaby simulator provides a highly realistic manikin that meets specific learning objectives focusing on initial assessment and treatment, enabling for assessing capillary refill time, testing pupillary light reflex and check bilateral pulses. Vivienne from Lifecast Body Simulation: Molded from a scan of a real geriatric woman, the Lifecast Older Adult Female features lifelike fine details such as veins and underlying structures as well as hair and includes an airway and articulated mouth for airway management. 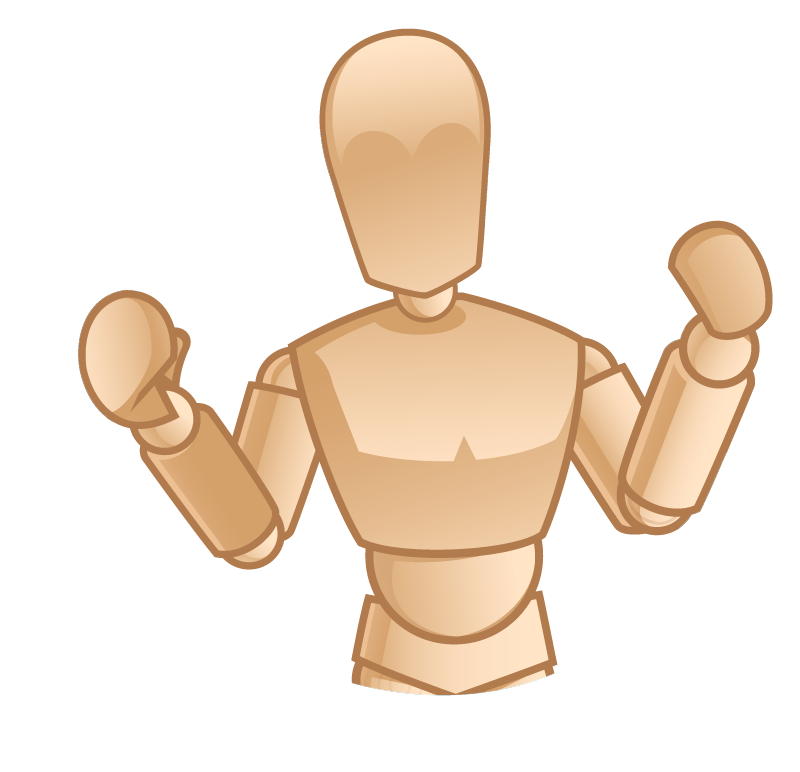 Created to a weight that allows realistic handling and the height of an average elderly senior, the Lifecast manikin will encourage a higher level of simulation immersion with realistic patient presentation. Hysteroscopy Simulator ‘bozzini’ from Inovus: This affordable, turnkey hysteroscopy simulation offers an anatomically correct uterus with interchangeable pathologies for practizing diagnosis and intraoperative management. Pathologies include endometrial polyps, intrauterine adhesions and endometrial cancer/fibroid as well as a bicornate uterus. 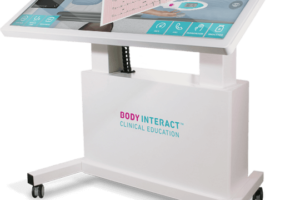 A small and unique patented lightbox and attached camera allow learners to engage with training that is extremely lifelife, especially for the very affordable cost! 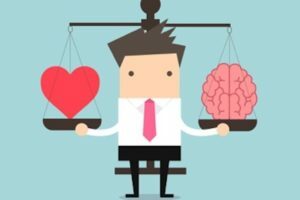 Visit ASPiH’s Website to Learn More!